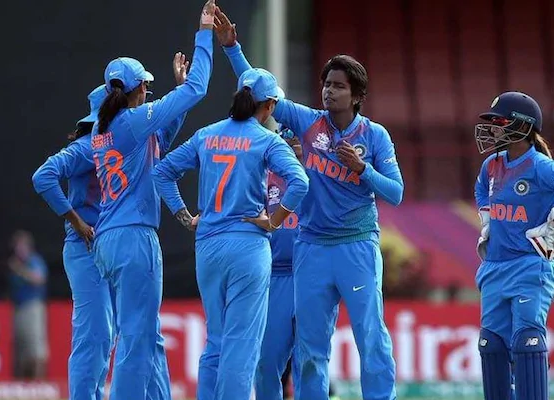 India crashed out of ICC Women's World T20 finals, an all-round England beat India by eight wickets to enter the final on Friday. England will meet Australia in the final after the Southern Stars demolished hosts and last edition's winners West Indies by 71 runs. England coasted along nicely to reach the below-par target in only 17.1 overs. Amy Jones (53 no off 45 balls) and Natalie Sciver (52 no off 40 balls) added 92 runs for third wicket to take their team to the summit clash. Earlier, England skipper Heather Knight picked up three wickets as India were bundled to 112 runs. Openers Smriti Mandhana (34) and Taniya Bhatia (11) forged an 43-run first-wicket stand to take India to a good start. Later, Jemimah Rodrigues (26) played a important knock on top of the order for India but some brilliant fielding from the English women saw her being run out. Kirstie Gordon and Sophie Ecclestone also scalped two-wicket each for England.